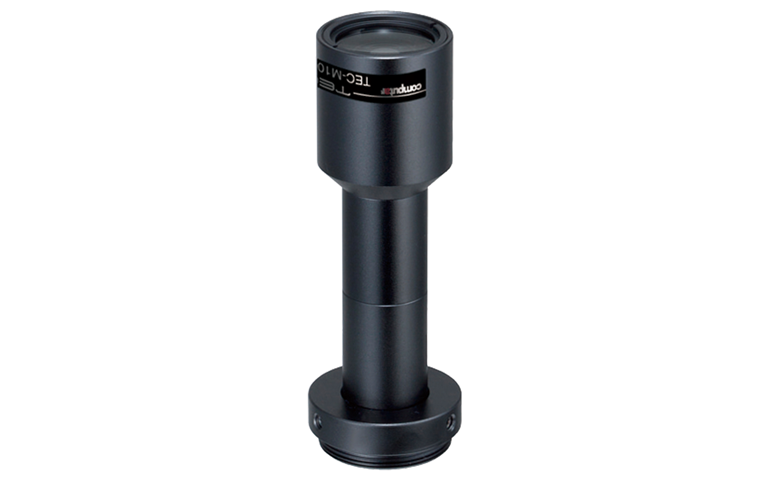 The Computar model TEC-M1065MP provides 1.0X Magnification at 65.5mm Working Distance for megapixel machine vision C-mount cameras. A low distortion design provides crisp image reproduction across the full sensor array. The Computar Model TEC-M1065MP is designed for machine vision cameras with 2/3″ sensor formats and up to 2 megapixels. The low distortion design provides crisp imaging across the full viewing area at a working distance of 65.5mm with a 1:1 magnfication.